The Cafe Kooler Bag can hold food, drinks, and snacks, fresh and cool. Imprint your business logo on the bag, to boost brand promotion. It is made of durable 210D polyester material, with PEVA lining. It has a double zippered closure for maximum security. An adjustable shoulder strap makes it easy to carry the bag. 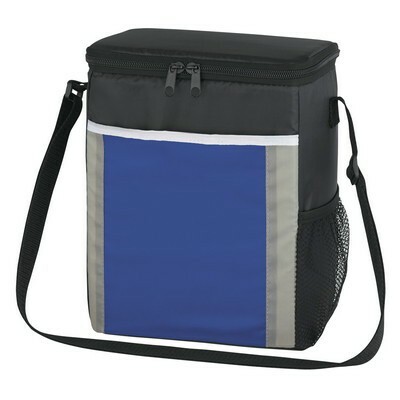 The cooler bag is available in black with black, red, and royal blue trim. 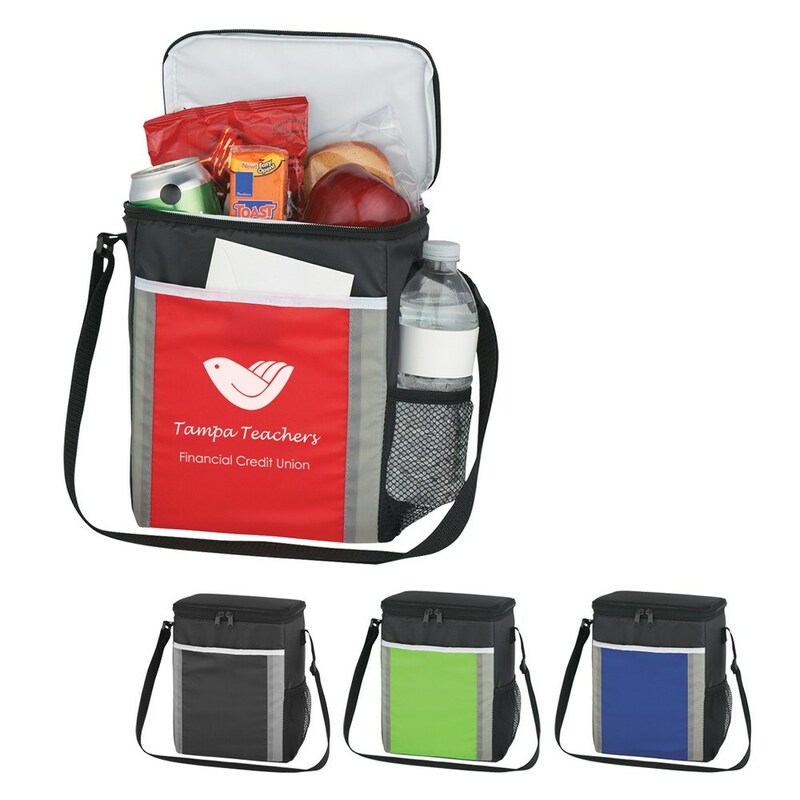 Give away this bag at picnic and tourist spots to attract immense visibility for your brand.